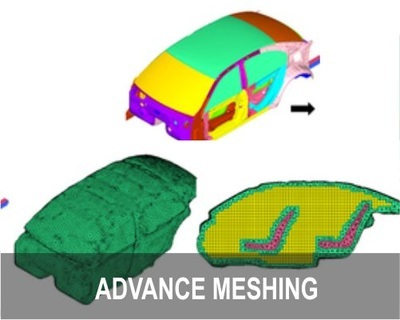 MeshWorks is a comprehensive CAE model parameterization engine with a broad range of categories of parameters that can be used at all stages of product development. 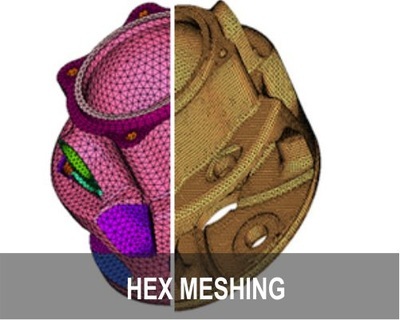 Categories of parameters include: gauge, shape, sections, spot weld pitch, seam-weld-spacing, adhesive length, topology (member repositioning), features (number of holes, ribs, bulkheads, crush-initiators etc. in a given space) and general parameters. 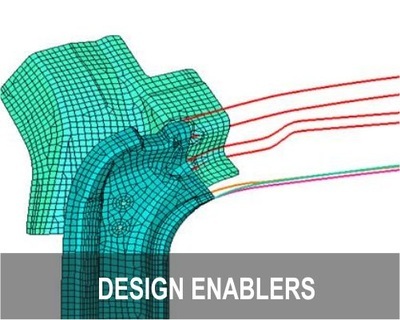 Regular FE/CFD models can be converted to intelligent parametric FE/CFD models. 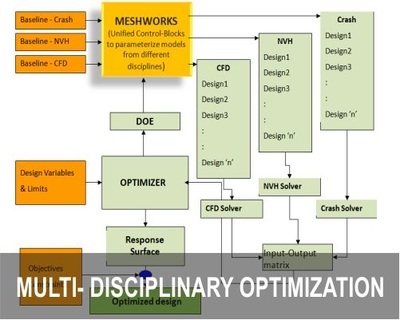 The parameters can be exercised as one-time execution or linked to Design of Experiments (DOE) and Multi-Disciplinary Optimization (MDO) schemes. 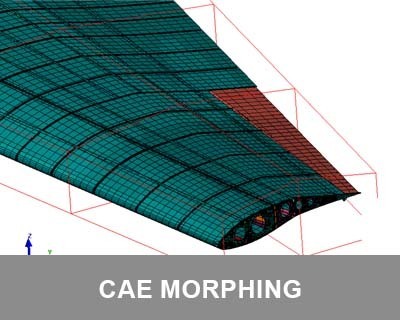 Multiple runnable CAE models (literally hundreds of them) can be generated automatically by exercising the parametric CAE models. 2. 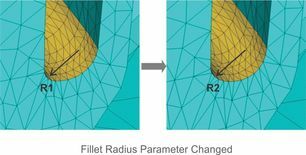 Structural (gauge / material) parameter . Creation of multiple holes in a given zone. 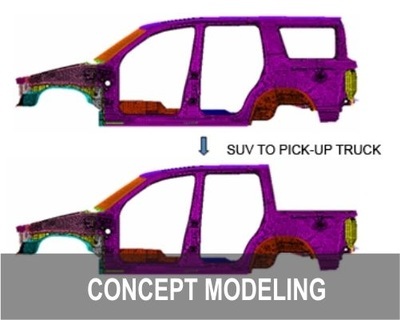 Creation of multiple crush initiators in a given zone. Creation of multiple ribs in a given zone. Automatic remeshing after design generation. 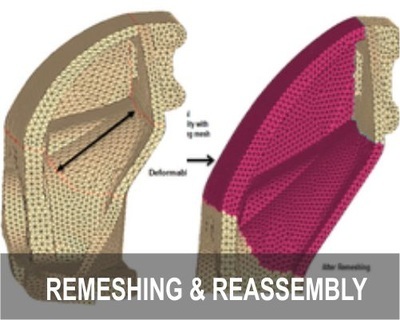 Smoothing and quality improvement after design generation.